The Compact Rootrainers™ has a smaller tray than the Original Rapid and has been hailed as an extremely user friendly addition with all the features of the Original Rootrainers™ incorporated into a compact module. Please Note: Holding trays are an essential part of the system. 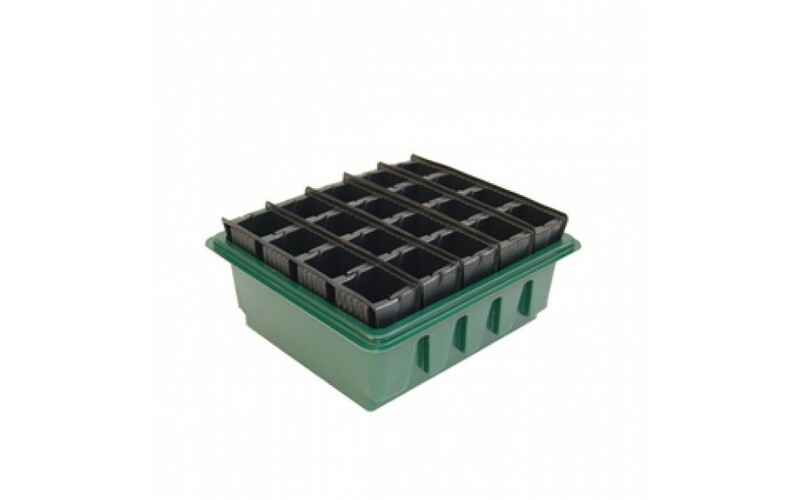 Clear propagating lids and drip trays are available as optional extras. The compact tray is smaller than the original tray. 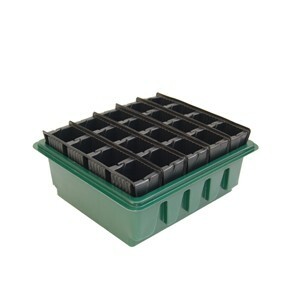 The books are held in their own slots, allowing spacing out to give plants more room as they grow.